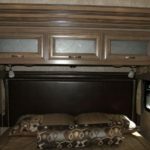 Motorcoaches are used for so many various activities and this luxury Freighliner is no different. 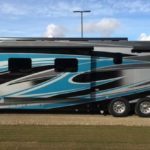 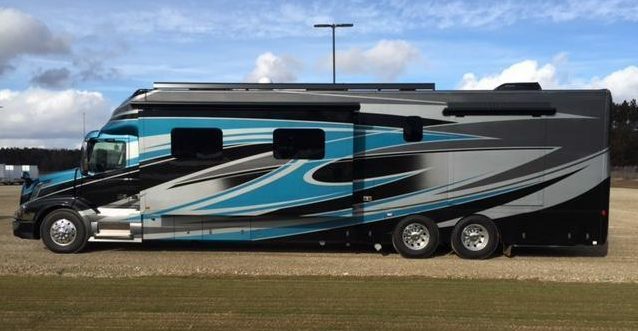 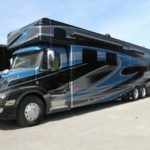 With its vivid blue color accented by silver and black, this luxury motorcoach is perfect for families, along with large groups, like teams and musical bands. 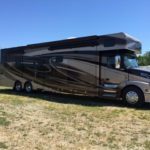 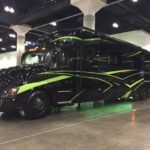 The 2017 Haulmark Motorcoach Freightliner is a vehicle that is hard to match in its beauty and performance. 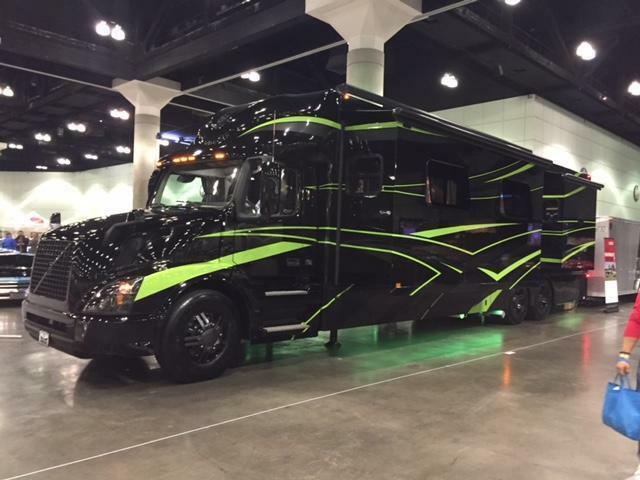 Owners can take this vehicle on vacation without having to locate hotel rooms. 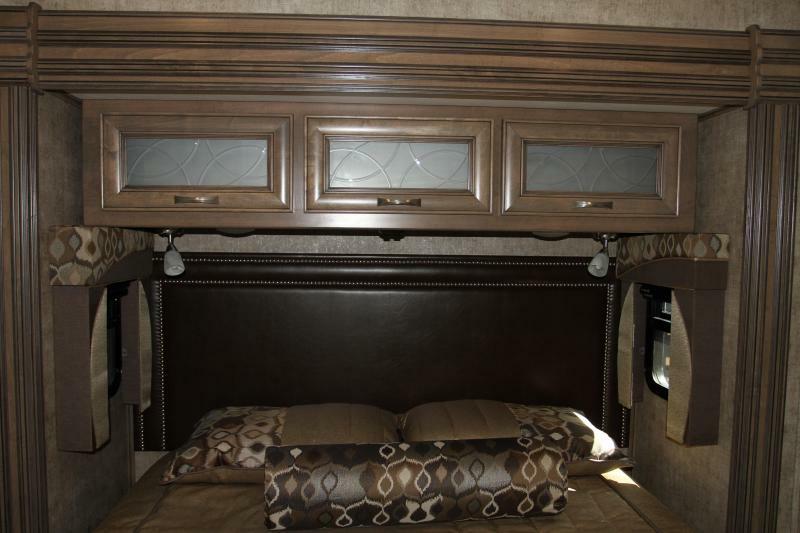 This motorcoach is equipped with everything one needs for comfort on a lengthy trip or short getaway. 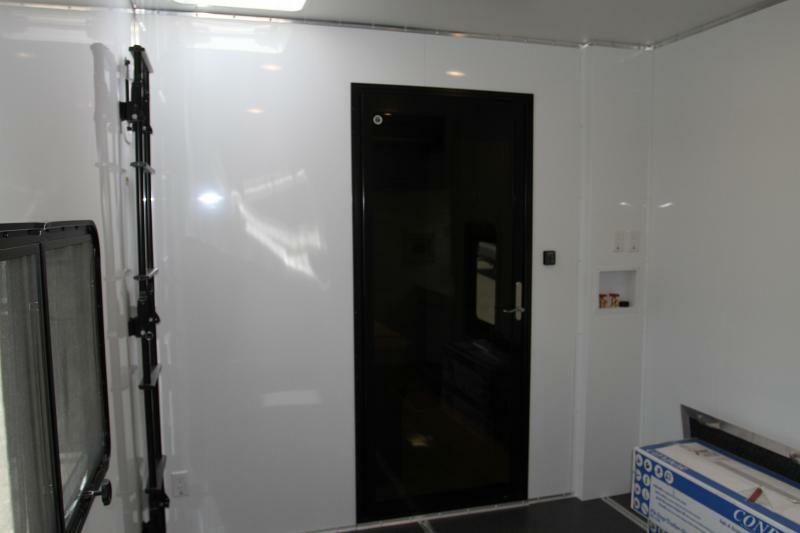 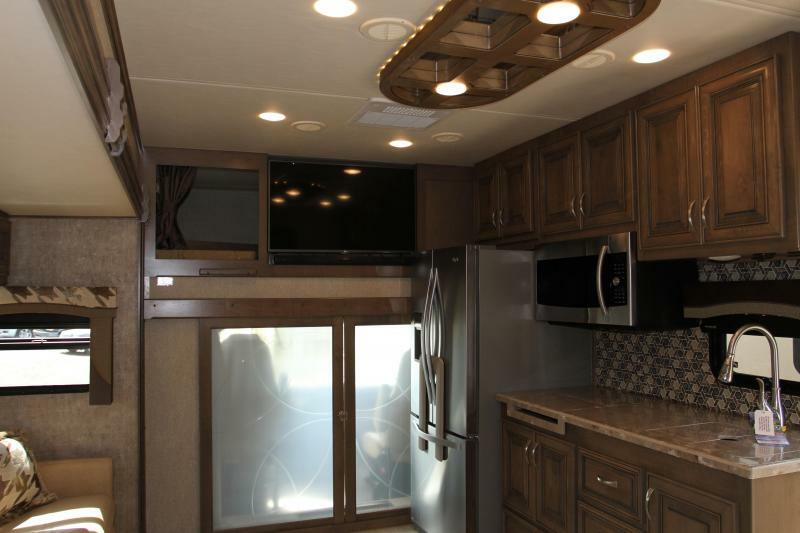 If you are a business, it is limitless as to how you can make use of this motorcoach. 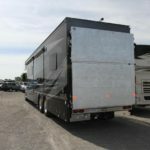 It can be used to carry large equipment from one location to another, or rented as a form of travel for small to large groups of clients. 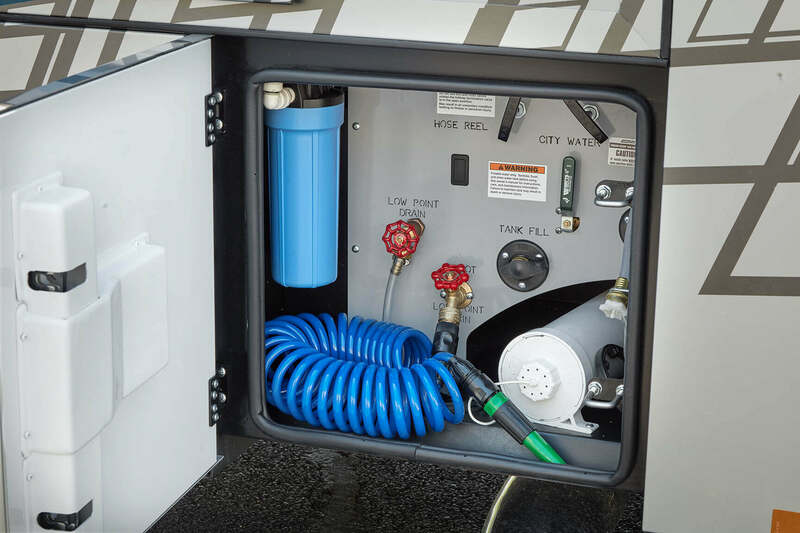 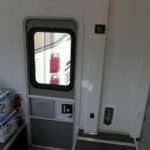 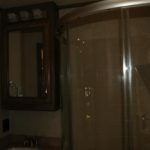 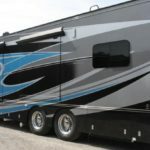 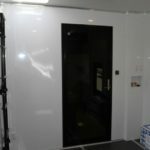 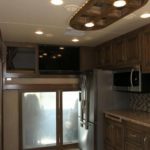 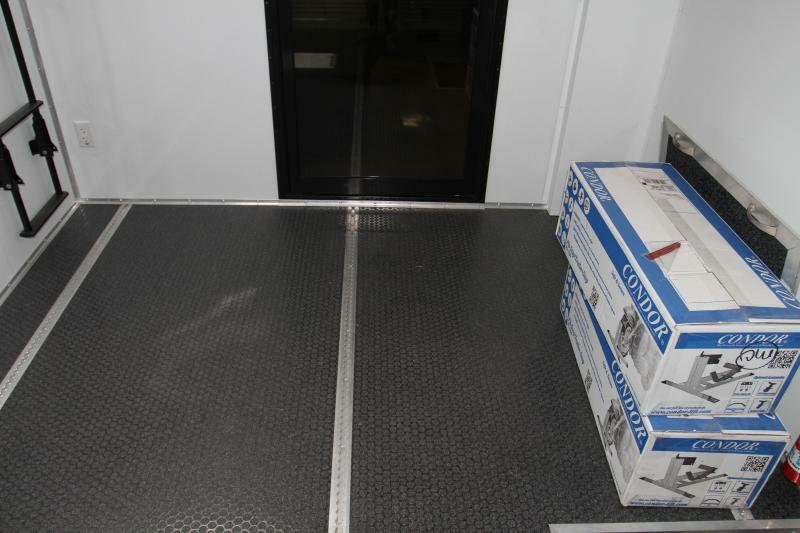 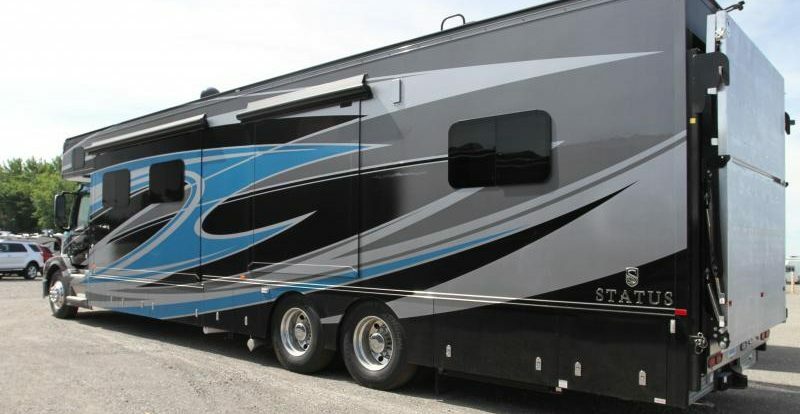 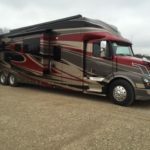 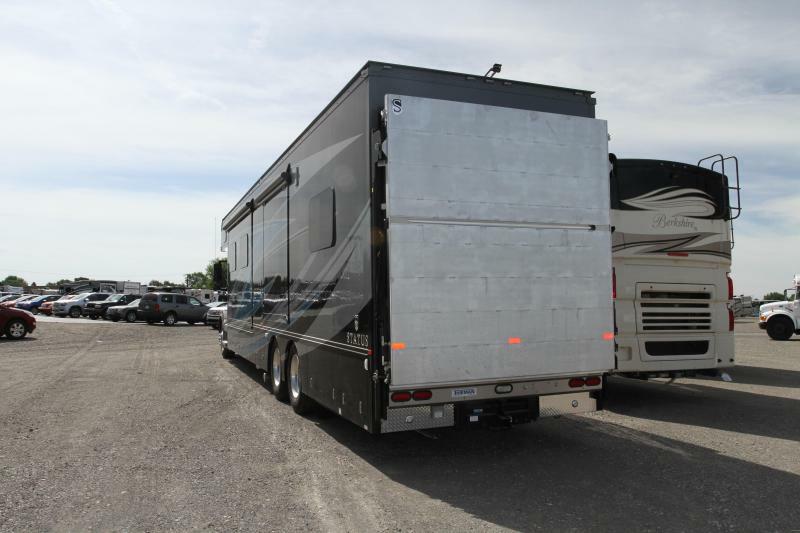 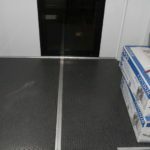 Particularly, clients that require space for equipment and slide outs for more space to be comfortable and also to carry large equipment and supplies, will be pleased to use this motorcoach as their travel vehicle. 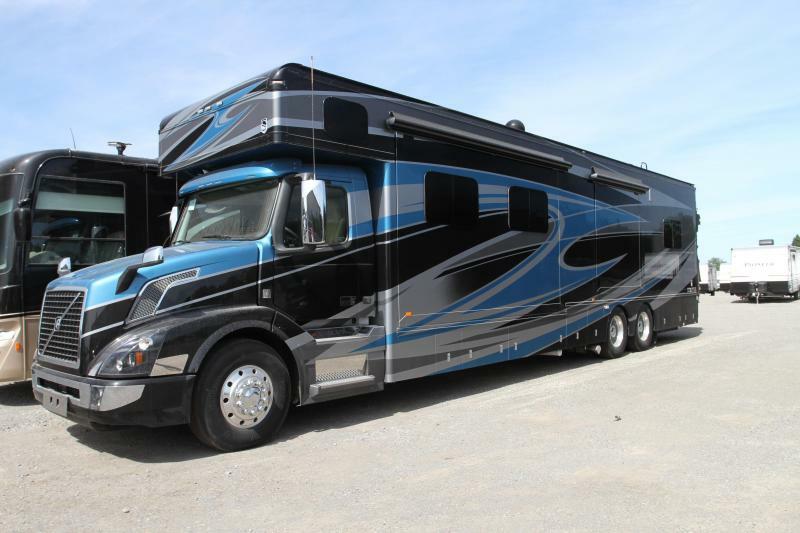 This motorcoach is a stunner, with its gorgeous look on the exterior and the interior. 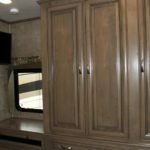 With stunning dark wood accents on the interior, this 2017 model is all you could ask for in luxury motorcoach. 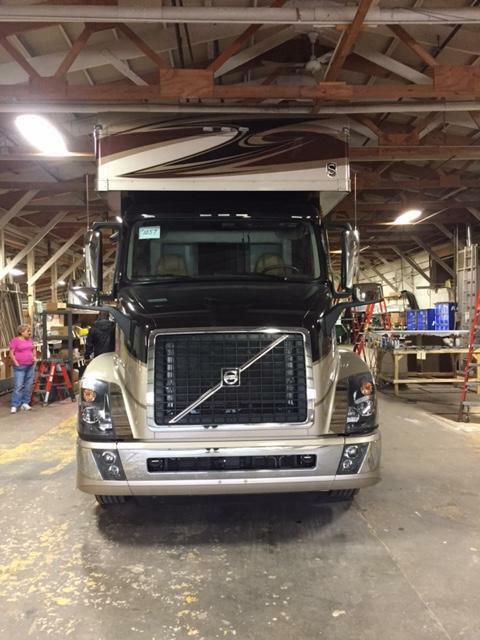 If you are seeking a travel vehicle that handles just like new and is also equipped with an interior that is stellar, the 2017 Haulmark freighliner is the vehicle you’re looking for. 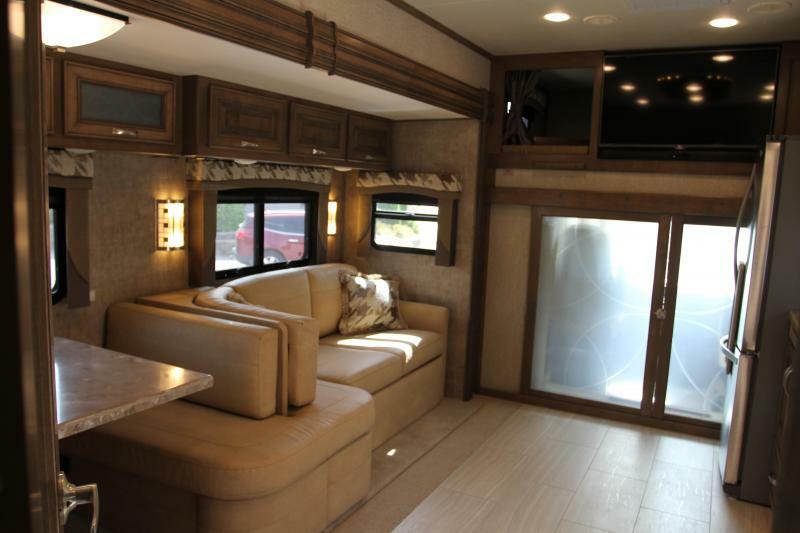 Large groups would travel quite comfortably in this luxurious vehicle with plenty of room for cargo and comfy seating. 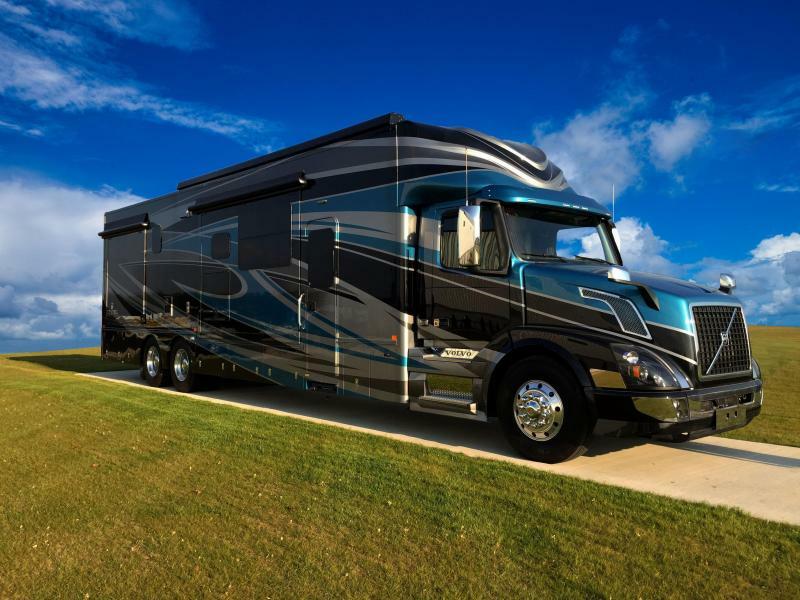 This is also true for sports teams, as this freightliner is perfect for long trips and carrying heavy cargo. 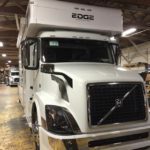 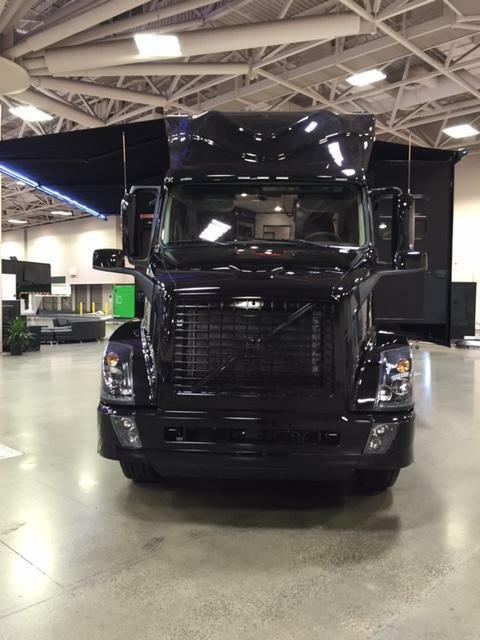 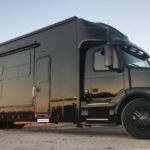 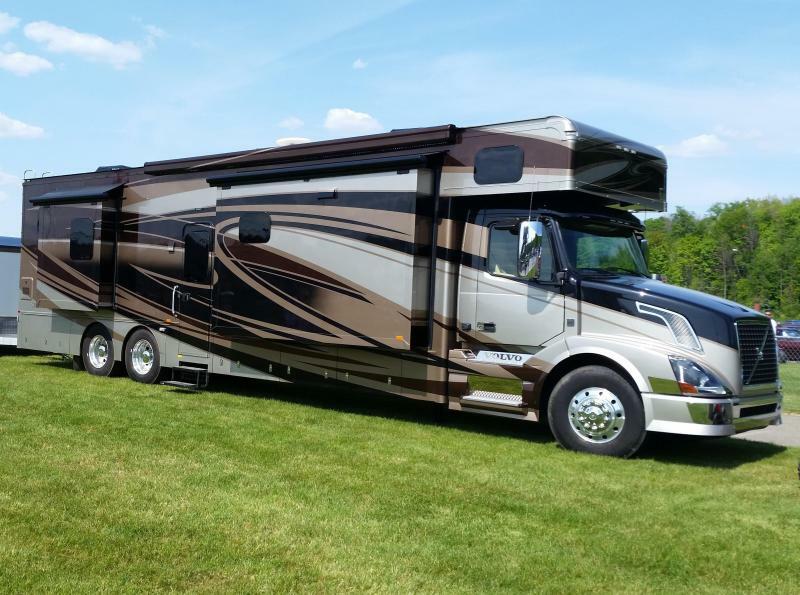 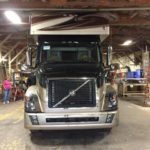 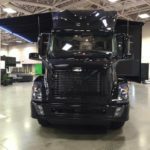 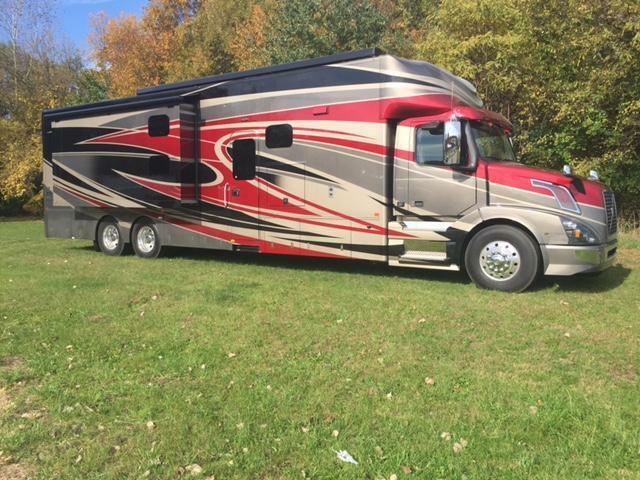 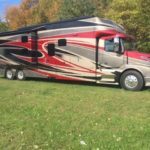 Families can also use this freightliner as a traveling home for those who may be retired, or those who want to live life on the road traveling. 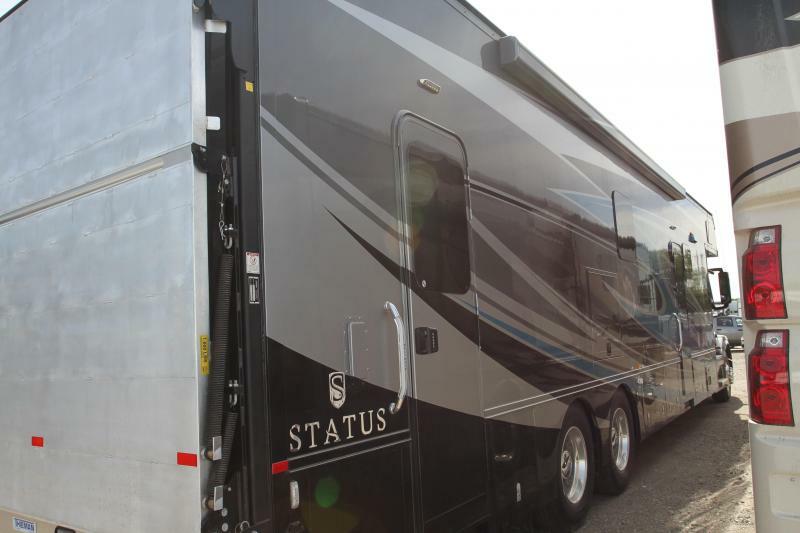 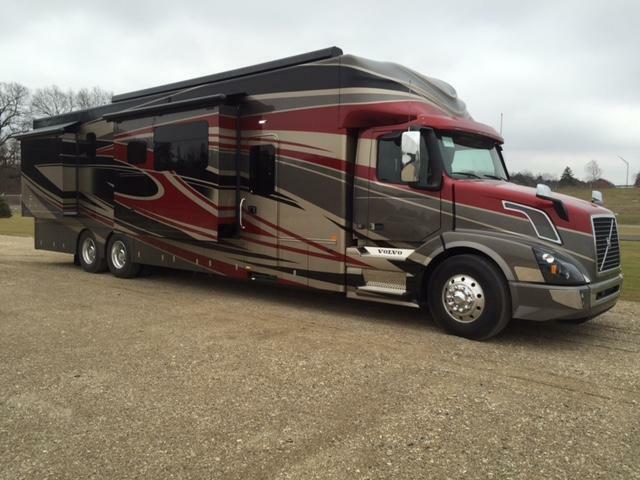 This motorcoach is just right for those who want to make traveling their life’s mission. 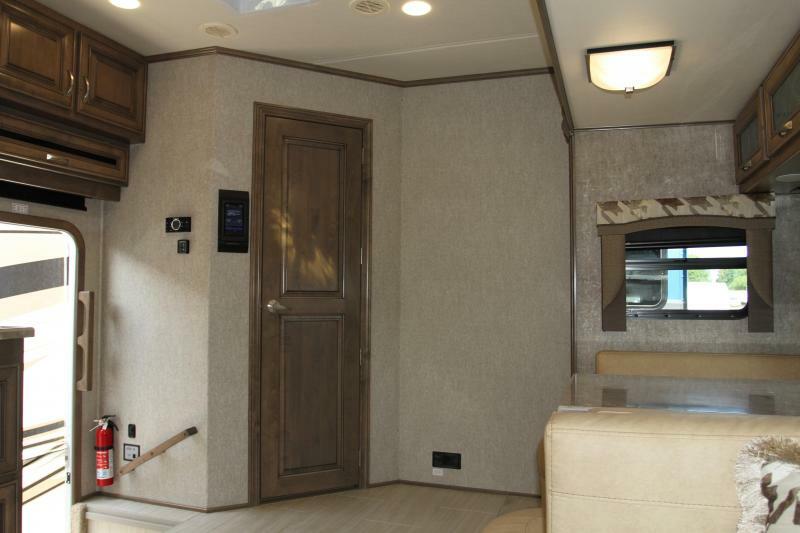 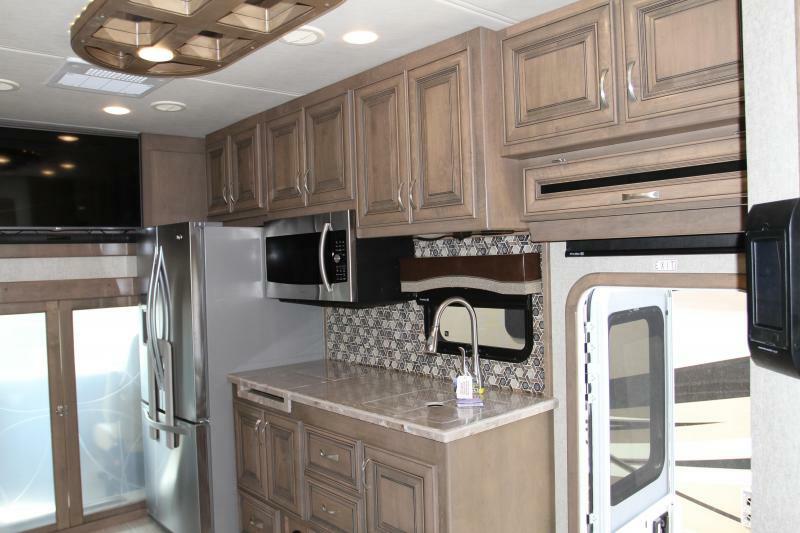 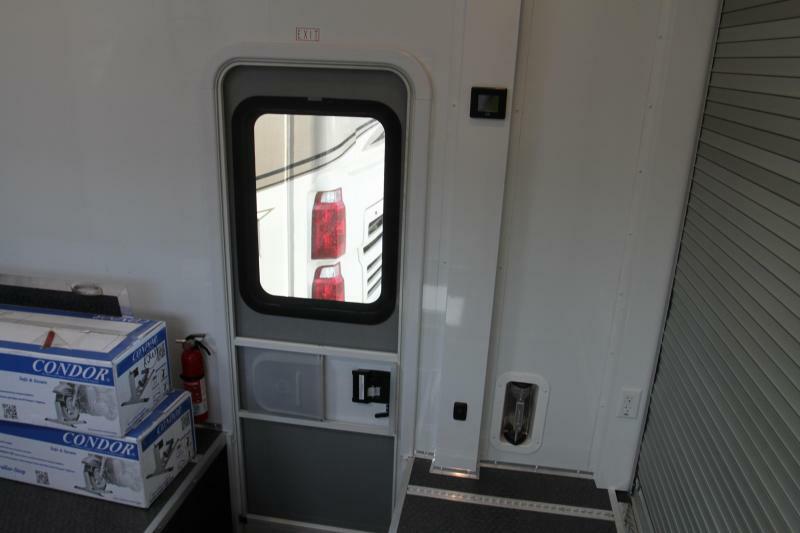 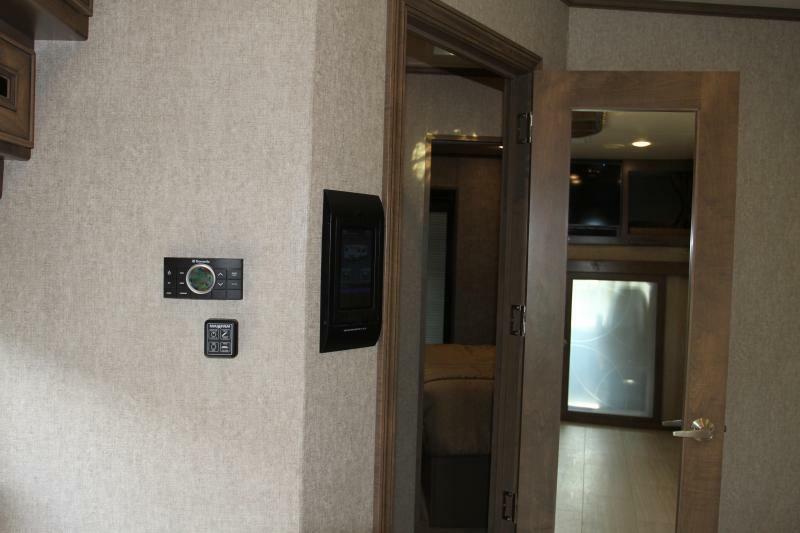 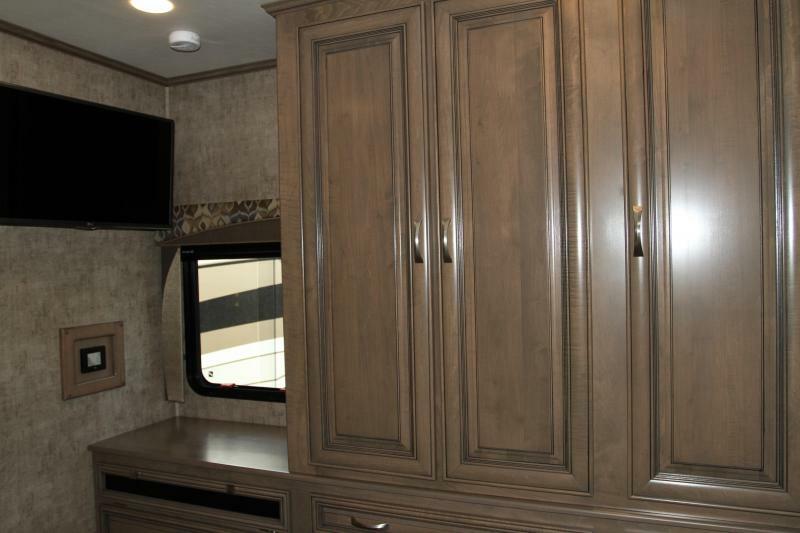 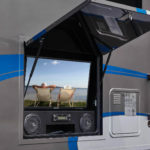 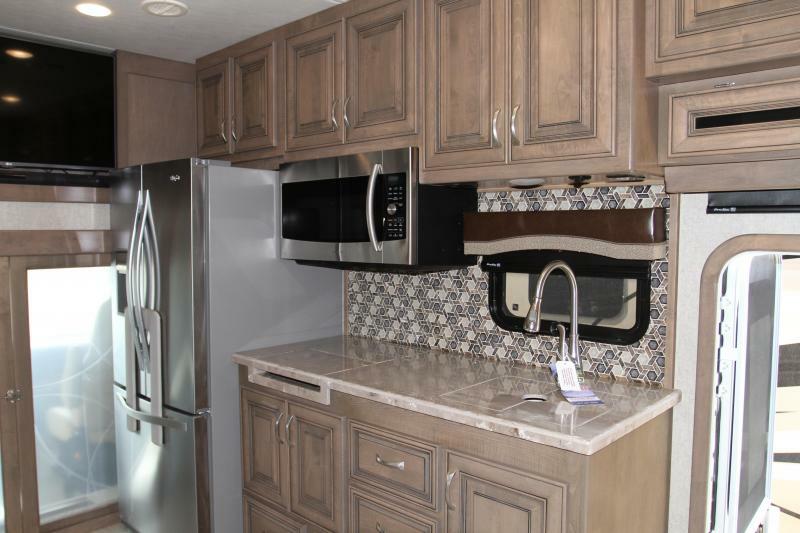 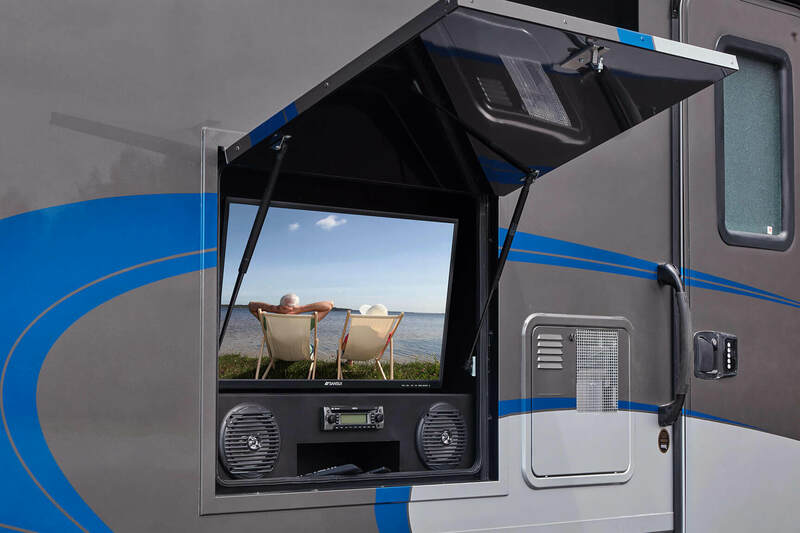 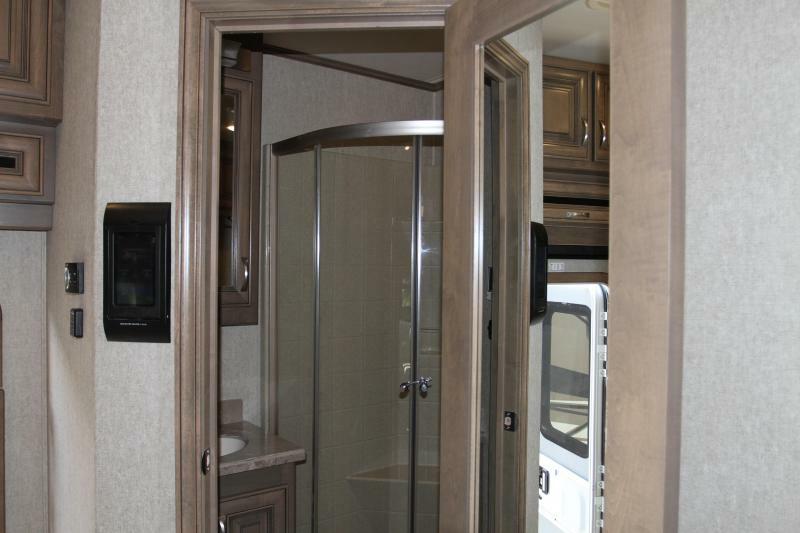 Plus, you will not miss the comforts of home in the Haulmark Motorcoach. 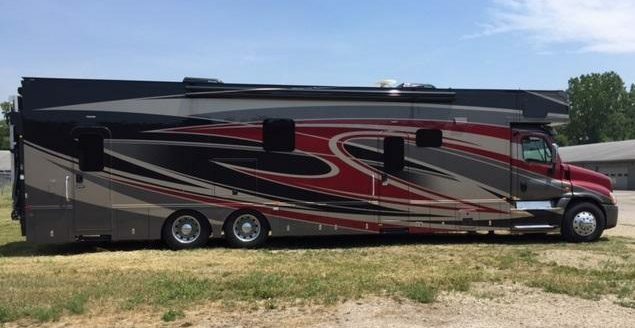 This Haulmark is still like new in performance and aesthetics. 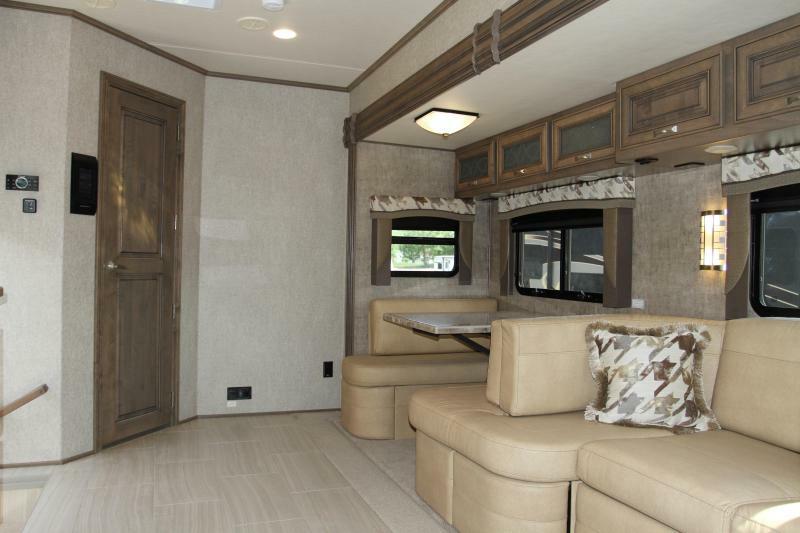 Neither the exterior or interior of the Haulmark looks as though it would be under $400,000. 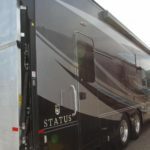 And if properly taken care of, this stunning vehicle will last for many years. 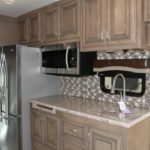 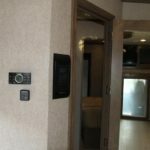 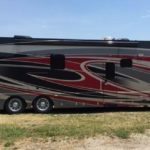 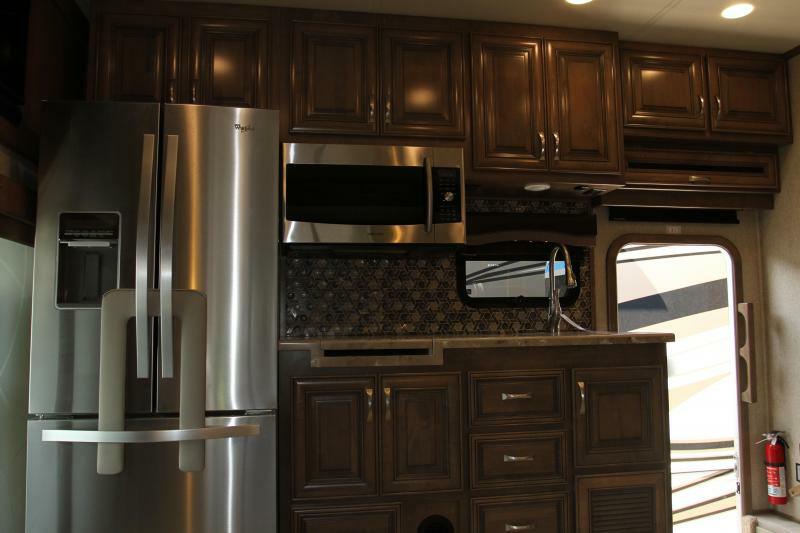 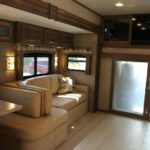 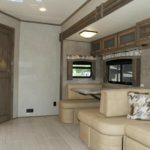 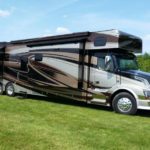 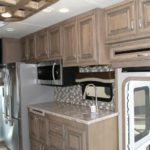 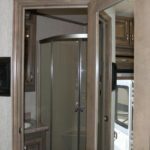 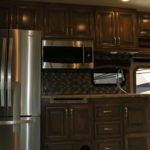 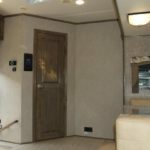 With the popularity of the tiny house revolution, some travelers may even choose to sell their homes and live in this beautifully styled motorcoach. 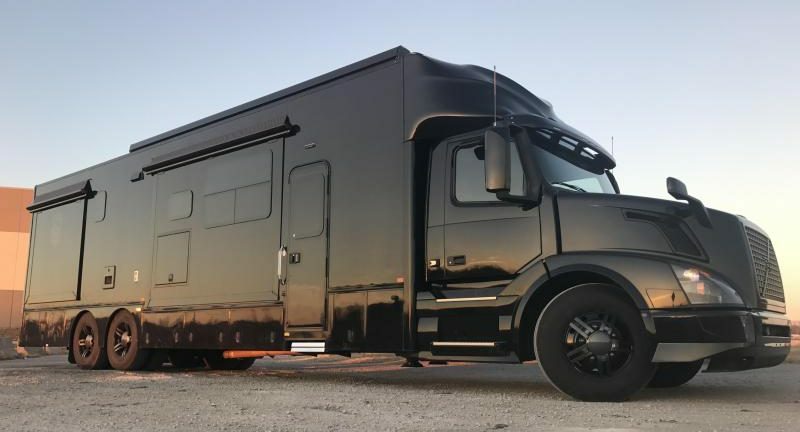 If you’re on tour, whether it be for music or business trips, or simply those who work from home, the Haulmark is equipped for most travelers. 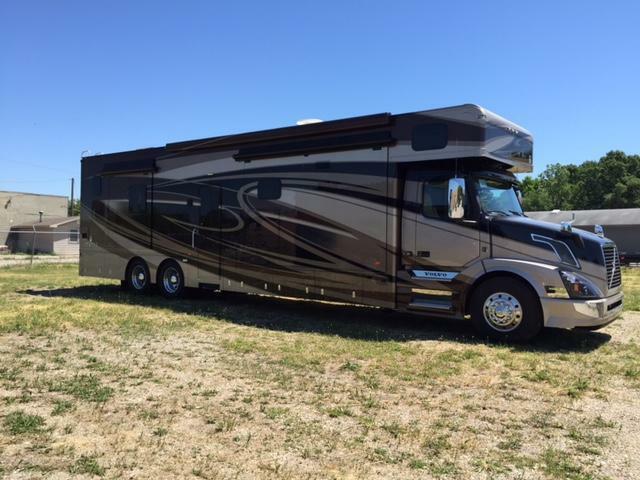 You can finally live freely, or travel in this well-conditioned motorcoach. 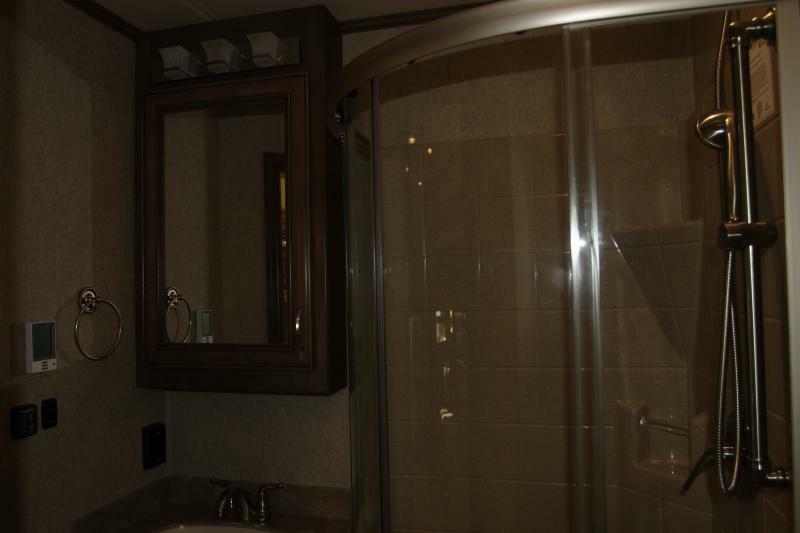 It is a super great value for under $400,000, being cheaper than most city houses or condos. 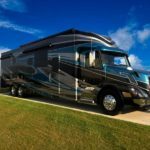 Though it is made for traveling and carrying equipment, the style of this motorcoach also makes it a stunning and well-equipped traveling home.